Within the outline shape of the left hand bank of the river, crosshatch wildly keeping In mind that nature has few straight lines. 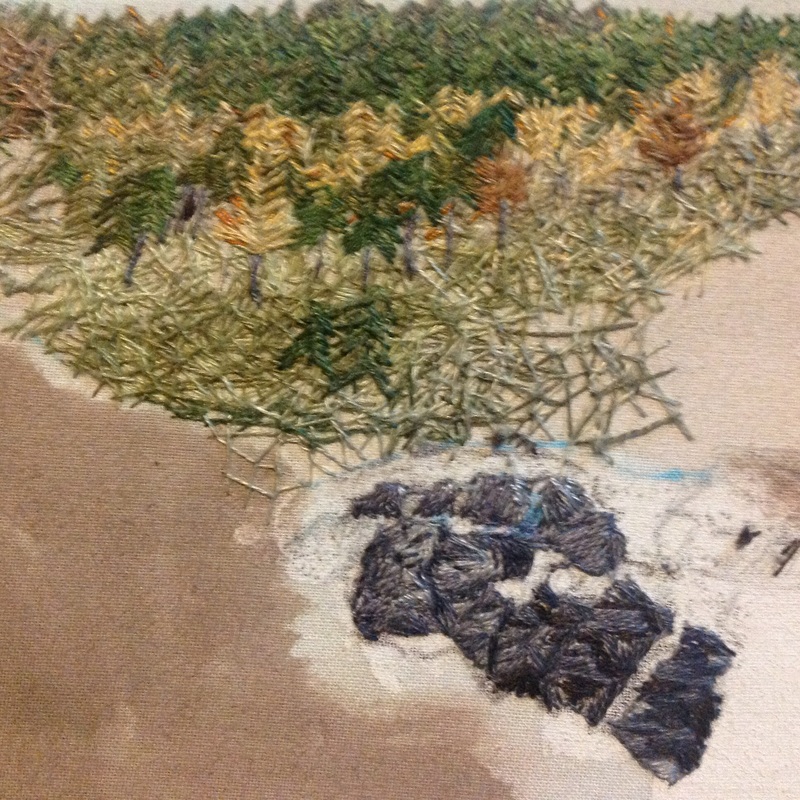 To get a bit of depth use lighter colours to create hatching and then back fill in the spaces with darker thread. This will help to suggest the depth of undergrowth. Finish the crosshatching for now by continuing taking the felled trees in the far distance down to form the river bank. Don’t worry about the rough stitching of the boulders as they will soon be covered by the river in spate.